The Abstracts are based in Cirencester, Gloucestershire, the capital of the Cotswolds. 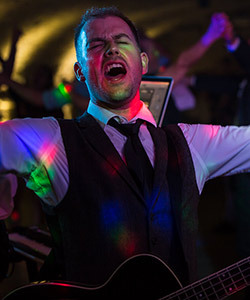 The band have been playing live music to a wide range of delighted live music enthusiasts, in various guises, since what seems like forever! 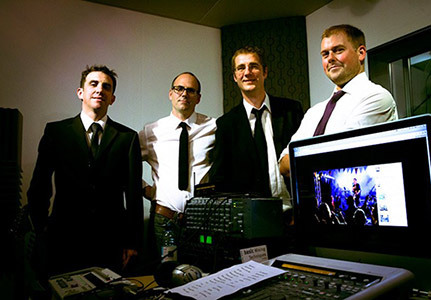 Providing a live covers set for weddings, pubs, parties, clubs, music festivals and other live music based events, the Abstracts have over 300 gigs behind them and have performed to Royalty and to audiences of over 10,000 people at public music events in Cirencester and the Cotswolds as well as further afield. 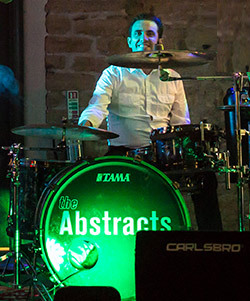 With an eclectic set of popular covers, The Abstracts can provide the genuine live music lover with a performance that will ensure your event will be a success. (Musically anyway!). 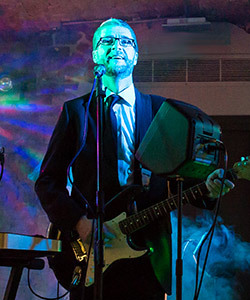 The Abstracts are, John Rutterford on bass and vocals, Mark Harris plays rhythm guitar, keys, harmonica and lead vocals, Matt Whiting keeps the beat and Mark Parrish supplies lead guitar and backing vocals. 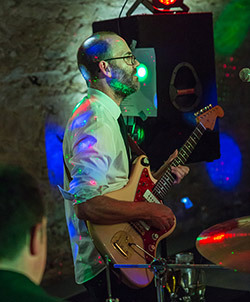 Disguised as Santa’s Little Helpers they have provided live music to over 20,000 people between at Cirencester’s Advent Market, probably the largest community event in the Cotswolds, and shared a stage with Elizabeth Hurley, Melinda Messenger and Dom Joly.